After the success of ICNLSP 2015, the first edition, which had been organized in 2015 in Algiers by the Computational Linguistics Department of the Centre de Recherche Scientifique et Technique pour le Développement de la Langue Arabe, the 2nd International Conference on Natural Language and Speech Processing ICNLSP 2018 will be held in Algiers on April 25th and 26th 2018. The organizer is affiliated to the Directorate General for Scientific Research and Technological Development and to the Algerian ministry of higher education and scientific research. ICNLSP 2018, technically co-sponsored by IEEE. is a conference which aims to cover all aspects of natural language and speech processing. It aims to attract contributions in basic theories and applications as well. Regular and posters sessions will be organized, in addition to keynotes presented by senior international researchers. ICNLSP 2018 invites papers discussing the science and technology related to speech and natural language, regardless of the language studied, however works on Arabic and its dialects are encouraged. In addition to regular papers representing finished work, position papers describing ongoing research are also appreciated. Papers must be submitted via the online paper submission system Easychair. Each submitted paper will be reviewed by three program committee members. 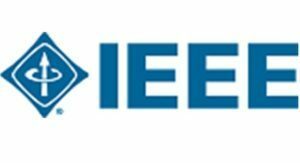 Papers must be prepared under the IEEE format. The accepted papers will be published in the ICNLSP proceedings and will be submitted to be included in the IEEExplore digital library. Extended versions of the selected papers will be submitted to a dedicated special issue on Natural Language and Speech Processing of Open Computer Science Journal. Open Computer Science journal is indexed in Web of Science, Emerging Sources Citation Index, DBLP, etc. 1- Before Creating a PDF, add the copyright notice to the bottom of the first page of your source document. Proofread your source document thoroughly to confirm that it will require no revision. 3. Continue to enter information as prompted. Use EasyChair Conference System for uploading the final version of your paper. Attendance; Offered bag; Certificate; Coffee break; Lunch and dinner; Transport from and to the airport; Accomodation. Copyright © 2019 ICNLSP 2018. All Rights Reserved.